Reminiscent of the original, the Montecristo White Series cigar boasts a lovely, hand selected Ecuadorian Connecticut Shade wrapper. With a Nicaraguan binder and a blend of select Dominican and Nicaraguan long fillers, these cigars make for a rich and savory medium-bodied smoke with notes of vanilla and a creamy, nutty finish. 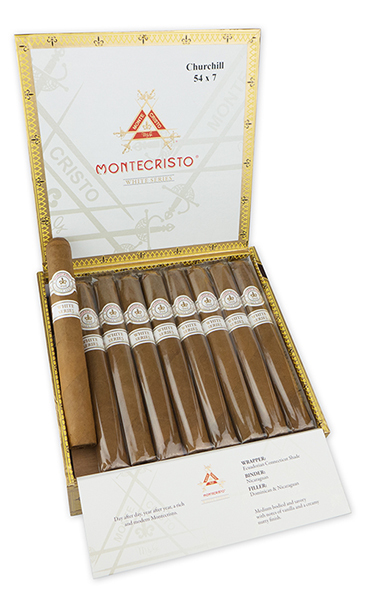 The Montecristo White Series continues Montecristos fine tradition of being the worlds most sought after cigar.